Only a few weeks to go until the Bongo’s Fringe break! As you may already know, since we moved to our new home underneath George IV Bridge, the terms of our tenancy require us to vacate the premises for the summer months (Sunday 12th July until we reopen on Saturday 5th September this year), so The Underbelly can move in to use the space for the Fringe. NB Without a venue, we’re unable to run any of our regular nights (or any Fringe events). We don’t have any control over this, nor do we have any involvement in what happens in the building during this period. The Underbelly is a completely separate business from The Bongo Club. 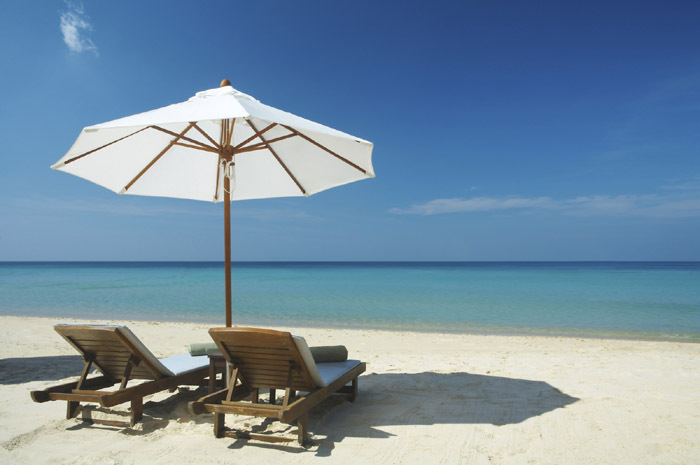 It was here first and thus it takes precedence at this time. Sorry, folks, but ‘them’s the breaks’, to quote an old favourite by hip hop legend Kurtis Blow. There’s a free party from resident techno dons Substance this Friday 12th June; Saturday 13th is the penultimate Messenger party with MC Ramon Judah; Rally & Broad cap a tremendous season for them early eve on Fri 19th, while bass supremos Electrikal get geared up for a busy summer on the festival circuit later that night; Saturday night party-starters Mumbo Jumbo keeps things bouncing on Sat 20th; soul-jazz and funk boys Four Corners and grime dons Big n Bashy have their last blasts of the trumpet on Fri 26th and Sat 27th respectively, while garage/techno/house party Headset and soul champs Soulsville have their final blow-outs on Fri 3rd and Sat 4th July. 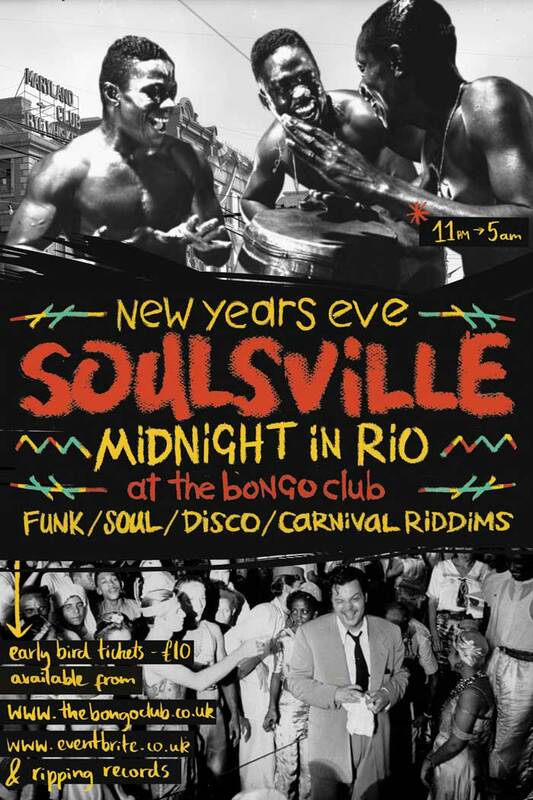 This New Years Eve, The Bongo Club presents “Soulsville – Midnight in Rio”, a night of raucous revelry in the spirit of a South American Carnival! With an array of visuals, unique art and colourful decoration alongside Ruckus Carnival Rhythms and the elevative brand of Funk & Soul which defines Soulsville’s musical philosophy, creator Francis Dosoo aims to capture the sheer joy and freedom of celebration that is at the heart of the South American Carnival. Tickets: £10 (early bird) / £15 (on the door). Available here.